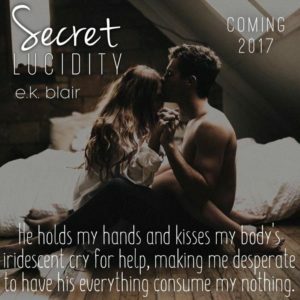 SECRET LUCIDITY – a romance stand-alone novel. Synopsis to come. Here is the very first teaser for Secret Lucidity!